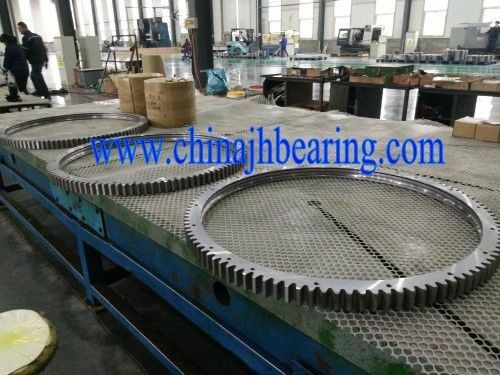 1092DBS101Y Belong to four point contact ball slewing bearing with external teeth,1358X1092X125mm,It is NSK slewing bearing code,we/JinHang Precision can manufacture NSK bearing code,and replace it. It will help the customer to reduce the cost and save some time. Slewing bearing should always be transported and stored in horizontal position and be stored in dry roofed areas. USE eyebolts for horizontal handling,Impact,particularly in radical direction,must be avoided. Generally, only the raceways in the rings are hardened and precision- ground. Integral seals made of acrylonitrile- butadiene rubber (NBR) keep the lubricant in, and contaminants out of the bearing. 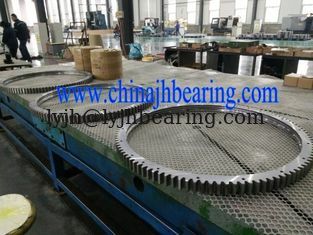 If you want to know1092DBS101Y bearing more, Please send us by e-mail or call us, We will send the more details. Thanks.